OMG! You have no idea what you are in for! we have done two Disney cruises and it is just awesome. I actually preferred it to the Parks, it filters out so many people and the chances for character and photo opportunity is awesome. The food, the touches here and there and their private Island is Awesome. for how long are you going for? Make sure you arrive early to the Port so you can take pics with Mickey and Minnie before boarding, i always like to be one of the first ones! To read more and plan better i recommend you to read Passporter.com their cruise line book and site is awesome. I see you are going on your First Disney Cruise, that is going to be awesome! Happy Birthday! I hope you have a fabulous day! Terrific! Sounds like it was a fabulous vacation and great family time together. I can understand the "glad to be home" feeling. I always feel the same regardless of how fantastic the trip was. When it is time to be home, I wanna be home. Glad your back. Glad you made it home safe and sound. Did you have a blast? Just thinkin about you.. Are you home from your vaca yet? I sure hope ya'll have a great time. Looking forward to hearing all about it and seeing some great LO's. Hi Ana Carol! And hope you are having a great day!!! Hope you have a magical day! Hope you are treated like a Princess. Thank you! My son loved being Zurg! We took the kids to the Mickey's Not So Scary Trick or Treat Party. And when we saw Woody the Toy Soldiers cornered my son. And Woody put his hands up then my four year old said "Woody! It is just a costume!" It was so cute, the magic kids experience! Scrap and photography. Im addicted to any TV series. Lately i have been playing a lot of Wii. 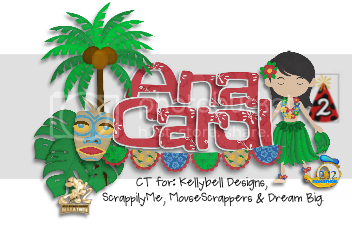 Thanks for helping to make MouseScrappers a better place Ana Carol!